I thought this door was really interesting and I guess there are cool doors on castles all over Europe. I drew this from my friend’s iPad who are world travelers. 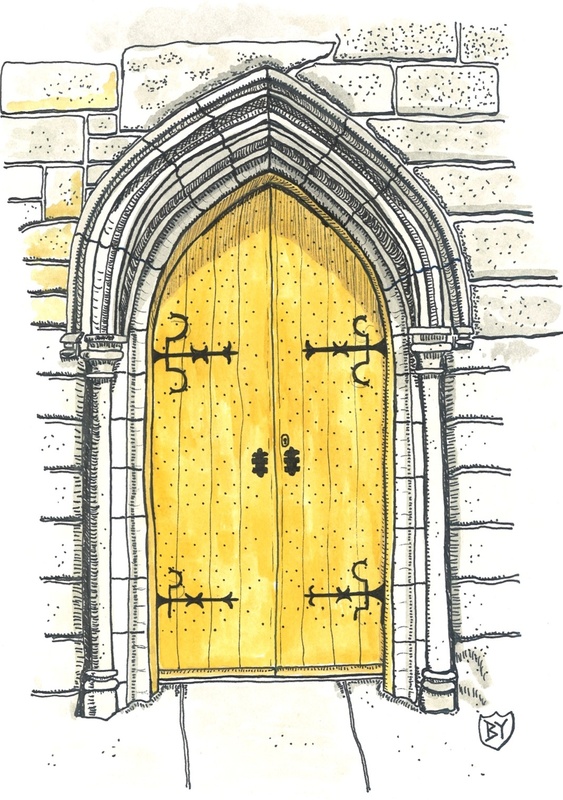 This door is actually to a chapel that is on the grounds of the Queen’s vacation castle in Scotland. I’d like to do more of these on site, especially in Europe…I really believe it would make me a better sketcher.